The River Ribble and its Estuary, and our Green Belt/floodplain areas are locally, nationally, and internationally important to wildlife, as well as important to local communities. This is why the Ribble is protected by UK, EU, and International law, why the Green Belt has been protected from development for decades, and why the Environment Agency recommend that no building development should be allowed on the floodplain, or other areas at Significant Risk of flooding. 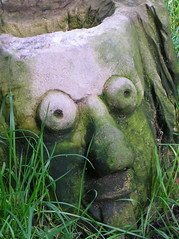 Local residents are concerned about the potentially devastating effects that certain elements of the Riverworks proposals would have on the environment (particularly a Ribble Barrage or weir, and building developments on the Ribble's Green Belt which is also its floodplain), both in terms of wildlife and the ecosystem, and in terms of potentially increasing flood risk to our communities. In response to our concerns, has there been an assurance that no such scheme will be pursued? No: there appears instead to have been an implicit shift in the suggested reason for a Ribble barrage into a perceived necessity to defend Preston from the sea... are they trying to scare us into having it? Climate Change is a long term threat to a number of aspects of our environment, but one which causes much concern for North West communities who live close to the sea and rivers is the predicted rise in sea levels coupled with a predicted rise in rainfall. This could be a direct threat to our communities, and to the rare Wetland habitats which border these areas. 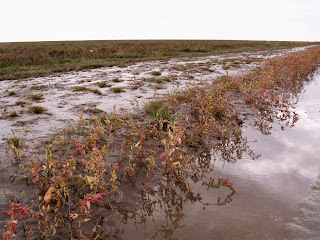 Ribble Saltmarsh - more rare than rainforest, and a UK Priority Action Plan Habitat. This is why the Ribble Shoreline Management Plan (SMP), which extends from the furthest points where the Estuary meets to sea upriver as far as Old Penwortham Bridge, assesses the risk of flooding to all our communities along the Ribble Estuary on an on-going and very detailed basis, at the same time as examining the on-going risks of climate change to the Ribble Estuary's Internationally important Wetland ecosystem. - The Ribble SMP has identified no need whatsoever for a tidal barrage to protect any of the Ribble communities from flooding. - In fact, the Ribble SMP has identified the active continuation of the creation of further wetland habitat (saltmarsh and mudflat provision) as the most sustainable and effective means of ensuring flood protection for all of our communities, as well as ensuring the ongoing provision of this vital ecosystem for the sake of the environment, therefore actively protecting both human and wildlife habitats from sea level rises and storm surges. - This is also in line with both Environment Agency and Defra policy regarding flood defences and environmental protection on all levels (wildlife and human) in the long term. The SMP advocates the provision of more wetland habitats of saltmarsh and mudflats, plus the maintenance and strengthening where necessary over the coming decades of the existing artificial flood defence banks which already exist in several areas, as all that is necessary to continue to defend our communities from the sea. The next phase of this is already taking place as work begins in the coming weeks at Hesketh Out Marsh. It is also the case that the Ribble SMP identifies the communities at greatest risk from sea-level rises along the Ribble to be NOT Preston, or Penwortham, but particularly low-lying communities like Southport and Crossens, and Formby Point is now experiencing erosion. It is also conceivable that these low-lying communities could potentially be put at greater risk of flooding from the sea by a barrage at the Preston end of the Estuary as the tidal flow would no longer be able to progress naturally to its full 11 miles inland, therefore could cause the incoming tides to "bounce-back" off the barrage and onto other areas of the Estuary shoreline. Yet a Ribble Barrage could still place Preston and Penwortham, and other communites upriver of a barrage (including Walton le Dale, Ribchester, and even beyond) at greater risk of flooding too - from the River Ribble itself. Submerged bench in Middleforth, Penwortham, looking towards Broadgate, Preston, January 07. All of these communities lie on the Ribble's floodplain, not the sea's, therefore a Barrage on the Ribble would not protect us from the sea, but could put us at increased floodrisk during periods of rainfall when the Ribble effectively becomes the rainwater drain from West Yorkshire through Lancashire to the Ribble's Estuary - a run of over 70 miles. It is common-sense to anyone who understands how the Ribble operates - or has merely seen the Ribble in spate - that this would be a potential risk, as artificially-high water levels, coupled with the silts building up behind a barrage and thus further reducing capacity, do not leave much room for high rainfall spate waters to be carried safely without flooding. Permanently high water levels created by a barrage could also raise the water table underneath our homes and cause numerous land-drainage problems - risks which would be compounded by the loss of local floodplain areas to massive housing developments and business parks. These very risks have also been highlighted by a professional consultancy who were commissioned by Preston Borough Council and South Ribble Borough Council c.1986 to assess the feasability of a weir on the River Ribble. 2. "River Ribble Weir Appraisal"
This report was undertaken for the councils by Halcrow & Partners in 1986, at the time of the previous docks redevelopment and also the time of one of the many previous ideas to build a weir or barrage on the Ribble. Whilst this Appraisal does not adequately assess the potential environmental impacts, and clearly does not appreciate either the environmental significance or the real beauty of what it refers to as 'the unsightly river bed and banks', it does raise some very pertinent issues, many of which echo our own concerns. It also makes it clear that the Ribble would need a MINIMUM of 2 weir structures to potentially enable its recreational use by boats, and the optimum number would be 4, and the report also emphasises that even this number of “weirs” would only allow SOME areas to be navigable. The report does make suppositions that this prevention of the tide could reduce siltation upstream, but this is inaccurate as it presumes all silts come upriver on the tide, whereas a large amount of silt actually flows downriver. Estuary ecologists such as Dr. Alan Bedford at Edge Hill University, and Graham Clarkson of the RSPB can confirm this - as can any visit to the river during rainfall periods as the river is distinctly brown! 7. The report points out that only by retaining water at the highest tide levels could the perceived "aesthetic quality" of the river be achieved (ie to cover the mudflats and debris), and emphasises that 'to realise the recreational potential of the river a higher water retention level is required' at the same time as emphasising that the highest water levels also mean the greatest floodrisk (see points 1, 2 & 3 above). 8. Despite more than two weirs (probably 4 altogether) being necessary to allow the stretch from the Bullnose to the Tickled Trout to be POTENTIALLY navigable due to the fall in the river bed, even with two or four weirs access to all areas between these points will either 'only be possible at very high water' or even 'likely to be impossible' as some sections of the river would still 'remain relatively shallow'. 10. The Report also notes that 'further research is required on the extent of downstream siltation and upstream drainage problems that may arise through the construction of a "weir" ' as the adverse impacts of these would need to be seriously examined. Of course, 20 years later, we would also take the environmental impact on the wildlife much more seriously, and the effects of changes in siltation and water flows, hydrology and predicted weather/climate patterns, on both sides of any such structure as an essential consideration, and as such, would throw out this absurd scheme immediately! 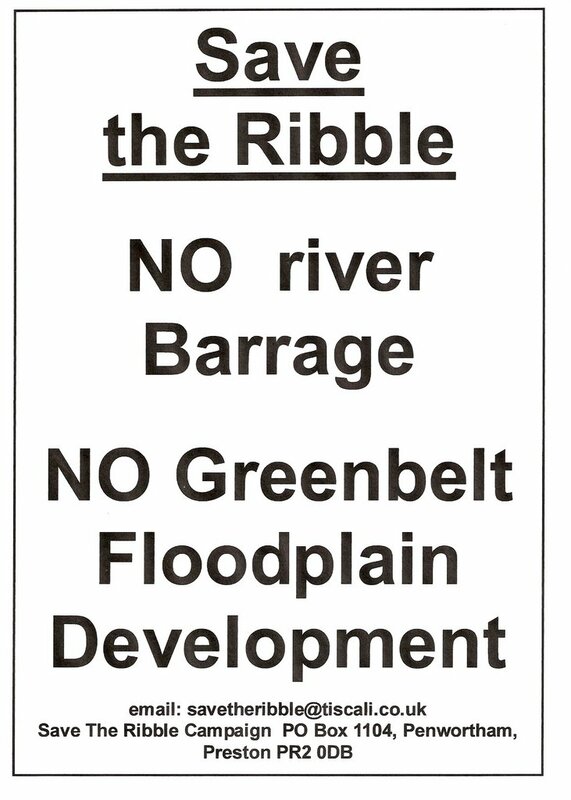 That the Ribble Shoreline Management Plan shows NO NEED FOR A BARRAGE OR WEIR TO PROTECT RIBBLE COMMUNITIES FROM FLOODING says enough - even without the damning professional evidence from a report commissioned 20 years ago! 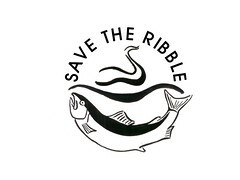 The Ribble SMP, plus the Ribble Catchment Integrated Management Plan and the Ribble Pilot Waterframework Directive form our collective blue-prints for protecting our precious water resource, our environment, and preventing flooding to all of our communities in the medium to long term. The SMP alone is looking at the next 50 to 100 years as its predictive and planning framework, and this Plan now extends beyond its present scope at the Douglas or Asland as far upriver as Old Penwortham Bridge. It seems common-sense to presume that all the potential flooding and drainage problems highlighted in Halcrow's "Ribble Weir Appraisal" would be exacerbated by rising sea levels, higher rainfall (also predicted for the North West from climate change), and by building on what remains of the river's floodplain thereby further reducing capacity to cope. 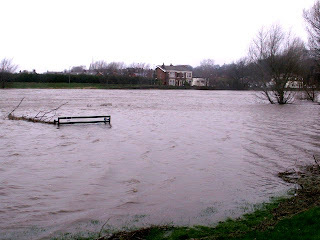 It is clear from professional sources that the Riverworks barrage or weir, the floodplain/green belt development ("Central Park" housing and business development on the South Ribble bank and the Riverside East development on the Preston bank), could cause irreversible damage to the environment at the same time as increasing the flood risk to our communities. The "Ribble Barrage Weir Appraisal" and the Ribble shoreline Management Plan shows that those who oppose the Ribble barrage have a cast iron case that no intelligent person can deny. Both documents clearly show why the barrage won't work - and it seems very amateurish of the council that they do not seem to be aware of these consequences. 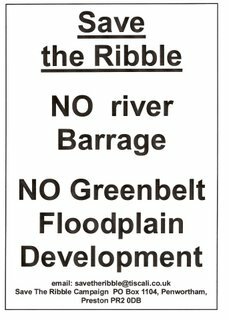 It’s time that Preston City Council and the unelected Vision Board STOP WASTING TIME AND COUNCIL TAX PAYERS' MONEY PURSUING WHAT IS CLEARLY AN IRRESPONSIBLE AND UNNECCESARY SCHEME AND ABANDON THE PROPOSED RIBBLE BARRAGE AND FLOODPLAIN BUILDING DEVELOPMENTS NOW! One wonders whether this law against weirs across rivers in England has ever been repealed...? It is incredible that our council officials seem so ignorant of what is in the 1986 report. The Vision Board want to commission another feasibility study into what is virtually an identical idea, just 20 years later - has the behaviour of tides, rainfall or Rivers in spate changed in these last 20 years? Why then are we wasting money on more studies? The proposals to barrage the Ribble and build houses in it's floodplain are motivated by the urge for profit and prestige, and have nothing to do with the interests of Preston or South Ribble people. Time for all our councillors to represent local people properly, and clearly come out against these irresponsible ideas.